On Wednesday of this week I took off of work to spend the day with Heather and the boys for the last trip of the summer to the local water park. We got there when it opened and stayed until it was within twenty minutes of closing. At the beginning of our day I remarked to Heather that I’d forgotten to bring my cell phone, and she said she had left hers at home as well. We had the best of days — letting each of the boys choose in turn which ride they wanted to go to next. Their vitality and courage is amazing to me. At their age I was never as brave as they are. We left the park exhausted and ready for a good dinner. We drove home to change into dry clothes before dinner to find that both of our cell phones had voice messages waiting and there were over 20 missed called on the home phone callerID — all from Heather’s father. We knew that whatever the news was it was not good news. Heather’s cousin Corry had died early that morning in Iraq. At once tears flowed and a deep anger welled up inside both of us. 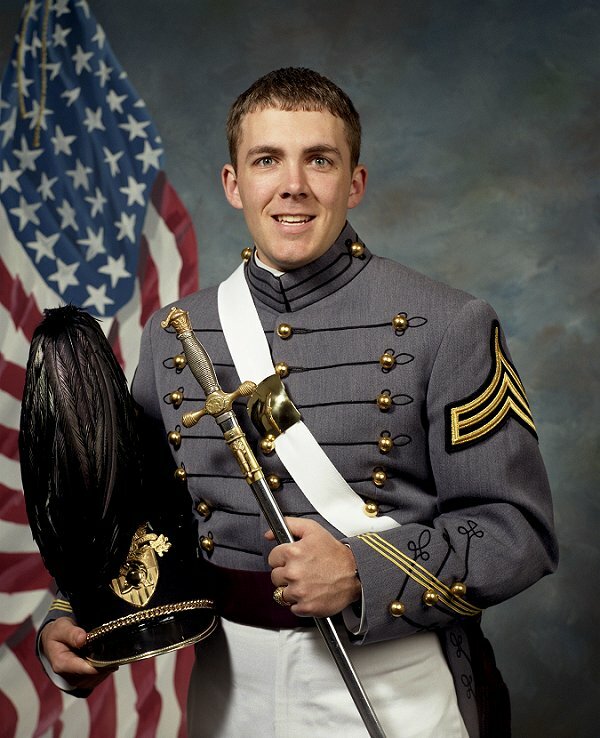 Corry Paul Tyler, 29, an Army captain and 1999 West Point graduate from Woodbine, Georgia, was one of the 14 soldiers killed in the crash of a UH-60 Black Hawk helicopter near Kirkuk in northern Iraq on Wednesday, August 22, 2007. In the dark hours before dawn, Corry and three other soldiers from the 4th Squadron, 6th Air Cavalry, Fort Lewis, Washington, picked up ten troops from the 25th Infantry Division, Schofield Barracks, Hawaii, after a night mission. All fourteen aboard perished when the Black Hawk suffered catastrophic mechanical failure and crashed. 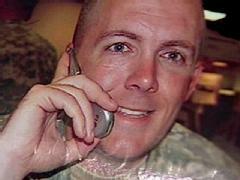 Corry was a husband to his loving wife and a father to his three young children. He was the sole remaining male in his family which allowed him to avoid deployment; yet this was his third tour in Iraq. Corry hoped to go to medical school and become an Army physician. He was to have heard soon if he had been accepted. Today there are 3723 U.S. deaths in Iraq confirmed by the Department of Defense. Before Wednesday, that ever increasing number was more of an abstraction to me than reality. With the death of Corry, the addition of one integer to that total number, it is no longer an abstraction. It’s an open wound of pain and loss of infinite proportions for every family of every fallen soldier and citizen. Capt. Corry P. Tyler served his family and country honorably to the end, and he shall be remembered by all those who knew him as one who lived deliberately and deeply. I only knew Capt. Tyler, or Darkhorse 06, as we called him, for a few short months. He became our troop commander in February 07 and quickly transformed us into â€œbold, audacious cavalry troopers.â€ Those were his words not mine. I can attest that he was highly intelligent and warm and personable. He was easily in the top one percent of the best captains I had ever worked with during my 18 years of service. Capt. Tyler was pensive, patient and wise beyond his years. He rarely asked a question in which he didnâ€™t already know the answer. Oh captain, my captianâ€¦you can never be replaced and you will never be forgottenâ€¦Sir. My heart-felt sympathy goes out to Mrs. Tyler, the Tyler children and all those friends and family who knew and loved him best. Thank you for sharing your thoughts and stories about Corry. It helps to know that those who were nearest him while he was so far away from family loved him so much. May you return home to your family safe and soon. Ever since hearing the news I have been @ a loss for words. I am overwhelmed with emotion and thoughts of his life, his wife, his children and his mother. Also for those of us who remain in shock of the loss to our family, to our community and to our nation. Corry’s dedication to his God, his family and his country is truly the greatest example of love that I have ever witnessed. Bless them all that continue to serve. Bless their families who wait for their return. Bless us all for what awaits us now. What a terrible loss. My deepest sympathy to Corry’s family and friends. My heart goes out to you, and everyone else who has lost someone in this awful mess. You know, over the years, our group of friends have all known and supported someone who is serving, and we’ve supported each other when a loved one was serving. And we won’t stop. We are here for you, and we love you all. Heather & Wade – I’m so sorry to hear about your loss. I actually heard about that crash the next morning on the news. It slipped in with all the other stories of deaths related to the war until I hear something like this that makes it personal. I’m so sorry to hear that he died and left behind a wife & three children. I will most definitely say a prayer for them. GIANT HUGS and condolences on your loss…..